When first partnering with a web host to help them build their online presence, many people aren’t aware of the numerous benefits that come with choosing a locally-based company. If your small business is situated in Canada, choosing a Canadian web host will not only save you money (as you won’t have to worry about conversion costs), but you’ll enjoy more privacy as Canada does not impose the same strict policies as the United States when the threat of a breech or attack is imminent. A local web host will also help you expand your local audience base. A Local Host Uses Local Servers, Just Like Your Audience. When you’re using a search engine to mine for information, typically what comes up first are stories or the websites of businesses located in the same general vicinity as you. Now, say the majority of the people you sell to are located in the same city or province as your company – wouldn’t it make sense to have your site on a server that’ll increase your visibility with this audience? Your website will receive better domain authority on a local search engine which is valuable for those who want to focus their marketing efforts to reach a geographically targeted group. A Local Host Offers More Personalized Customer Service. If there’s ever a question or concern with your service, it helps to have a customer care centre comprised of employees that understand your needs more intimately, and this isn’t always likely to happen when customer support is located halfway across the hemisphere. 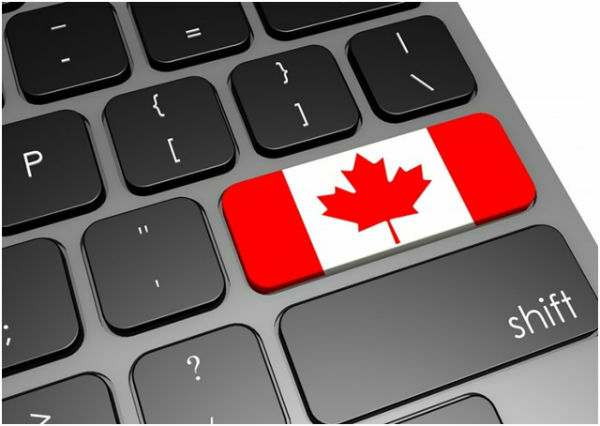 With a web hosting company in Canada you know that customer support is positioned in the same country as your business, so those on the other line will better understand your use of the language and they’ll also be aware of issues occurring within networks close by. A Canadian Host Handles Your Data More Discreetly. Web hosts working out of the United States are subject to The Patriot Act, which allows government officials to enter a server should they believe they have rightful cause. There is also less privacy protection overall and American authorities can take away access to your own data or spy on you without a court order. In Canada however, there is better protection for both individual and business data. Many web hosts such as HostPapa will also offer a premium security suite and encryption service as part of their business-tier packages. Many emerging companies don’t think about where their web host is located, but it can make a big difference to their overall online experience. Partnering with a local Canadian service ensures your confidential information is protected, along with that of your clients and customers. It also offers better local outreach opportunities and tailored customer service that can meet your business needs faster. Why choose a foreign provider when you can reap the benefits of one that is closer? Before confirming your service, make sure you’re aware of where they’re working out of before you sign up.